Say hello and tell something about yourself and your vBulletin site. We value your feedback. Let us know what you think about this site. Write a review of how the mods here have benefited your forum. Or write any feedback on Glenn's work or services he provided to you in the past. Post any event (birthdays, meetups, etc.) you want to announce to all members here. Last Post: Google AMP Hackathon in L.A.
Post here if you are buying or selling a second-hand vBulletin license. WARNING: Posting spam or selling non-vBulletin related stuff here will result in deleted post and immediate user banning. Do you have a question about our products or services that you want to know before you can buy? This is the place, ask it here. Do you have a great idea for a new vBulletin mod? Post it here and your idea might come into a reality in the future! 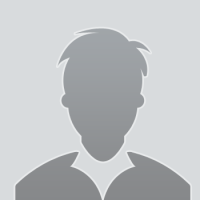 Last Post: Hover on avatar with mouse? Hover on avatar with mouse? Browse for vBulletin 5 custom modules or widgets that can be added to the site via Sitebuilder. These are not compatible with vBCloud as it does not allow installing third-party products. Browse for vBulletin 5 core PHP file modifications that are inevitable and cannot be resolved with PHP Hooks or API extensions. These are not compatible with vBCloud as it does not allow access to the server. Last Post: vB 5.x: AdminCP: how to a list of 1:1 relations? 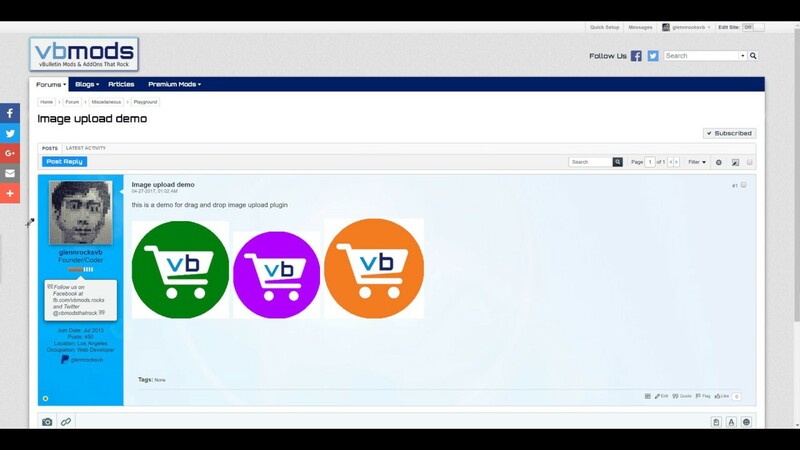 Browse for miscellaneous vBulletin 5 modifications that don't fall under other forum channels. Browse for vBulletin 4 add-ons, products and extensions here. Browse for vBulletin 4 template only modifications here. Post any web hosting related topics here such as choosing a host for vBulletin, questions and answers and other related topics. Showcase the vbmods.rocks mods installed on your vBulletin site. This is also a chance for you to show off your site. Posts for sites that don't have vbmods.rocks mods installed will be removed. Excellent forum, always willing to help where possible. 10 for glennrocksvb. It is always a good feeling when you stuck at some bad vBulletin 5 problems and know where you could get help. Always find what you're looking for! Glenn and his site have been a tremendous helping with me getting back into the vBulletin game after a 2 year absence. 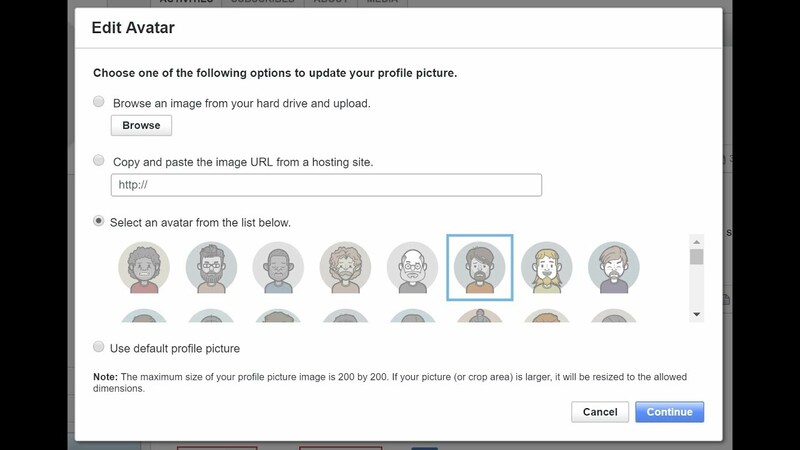 This vBulletin 5 plugin allows drag and drop image upload into the editor making it super easy and convenient for users to share their pictures. You may have seen the following from "HTML Improvements" in the Search Console for Google Webmasters tool. Creating mods and maintaining this site takes a lot of time, energy and money. We would appreciate it very much if you could donate a few bucks to help us pay for hosting and domain costs, to continuously improve this site and to provide more FREE mods for you. Thank you! As a token of appreciation, donors have special badge in postbit as well as cool privileges. Below is the list of our generous donors. Thank you very much for your generosity. You all rock! You can also support us by purchasing vbmods.rocks shirts at RedBubble.com.